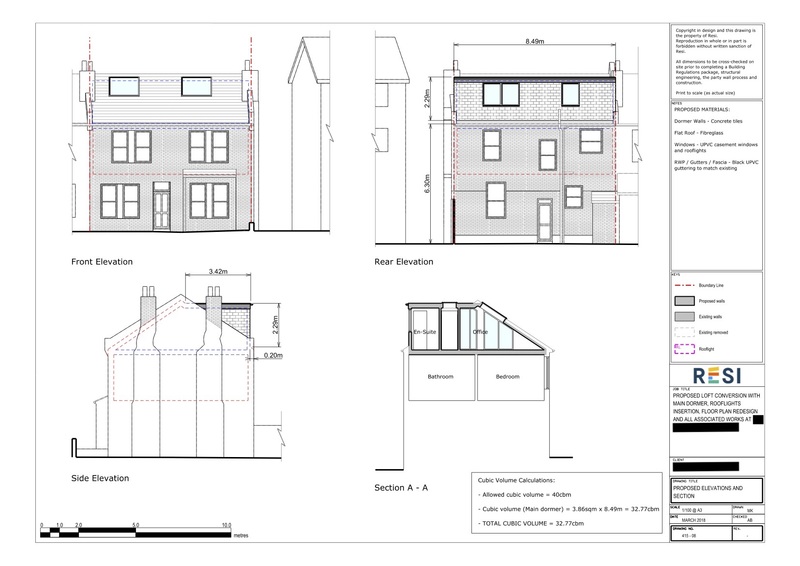 This client’s early 20th century semi-detached was transformed, by a spacious dormer loft conversion, into a suave three-story house. The added dormer space in the loft was used to create a large en-suite bedroom and office, with a behind bed storage area. 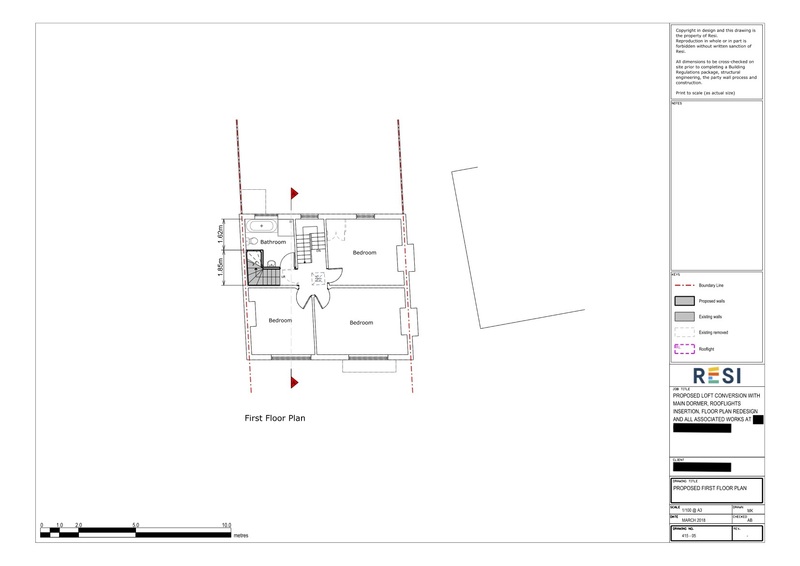 Because of the need for an added staircase up to the loft this couple required a rearrangement of their first floor floor plan, something that was taken into account at Resi and amended. This couple completed their renovation with a bright and airy loft conversion, with a boutique, luxury finish. Our client's primary requirement was to stick to a modern, bright, and luxurious design approach. In keepign with this, they wanted a wardrobe area in the bedroom that fitted in with their minimalist style. Because of the loft conversion, room for a first floor staircase was necessary. Our client believed that because their first floor bathroom was of a good size, a possibility was to cut down the bathroom by adding in the staircase, an arrangement that we also believed would be the most logical option. A great addition to the loft conversion were the two skylights placed in the bedroom and office, a design that enhanced the external symmetry as this was a double-fronted property. The incorporation of a dual entry walk in wardrobe placed behind the bed was a simple storage solution for this couple, as it allowed for a practical place to store clothes and shoes without an obvious loss of space. When it came to the first floor, we went with the client’s suggestion of reducing the space in the overly large bathroom by filling a side with the new staircase. 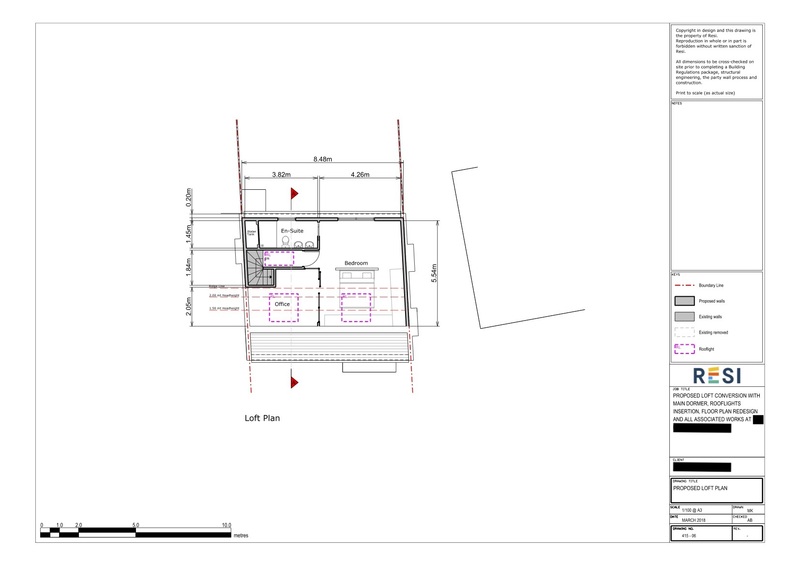 The client has now completed their design process with a logical floor plan and upscale loft conversion.